It is important to understand thermal energy potential before assessing a facility for CHP applications. The following summary data should be kept in mind while at the facility collecting data. Determine all uses of hot water for the commercial building or industrial process. Determine where heat exchangers such as plate & frame, or shell & tube may be needed. Determine if there are any direct heating needs for the commercial or industrial facility and how the CHP system may supply heat for those needs. Air heaters or inert gas heaters are commonly considered when products, process operations, or the facility environment are potentially compromised by using direct drying/heating systems. Because issues including plant layout, local regulations, and fuel type affect these considerations, many of the processes in this section and the preceding section are served by both indirect and direct heating. Cooling / Refrigeration, Determine comfort & process cooling needs, number of hours cooling needed, and what portion of the cooling may be met with an absorption chiller connected to the CHP system. Desiccant-based dehumidification systems are used extensively for removing moisture from moist air or gases in many industrial applications. Some typical industries where such systems are used include chemical, pharmaceutical, food, semi-conductor manufacturing, and vacuum processing. These systems are also used for climate control applications in commercial buildings. Operation of these systems includes a regeneration step where hot air (or other gases) are used to remove moisture from saturated desiccant media. Combustion reactions are highly exothermic. However, their reactants (fuel and oxidant) continuously absorb considerable energy to reach proper combustion temperatures. Exhaust gases from a prime mover, particularly from a gas turbine (because of its high oxygen content), provide an excellent preheated oxidant. These gases can be considered as an oxidant source for combustion of fossil fuels used in most heating applications including steam generators or boilers. 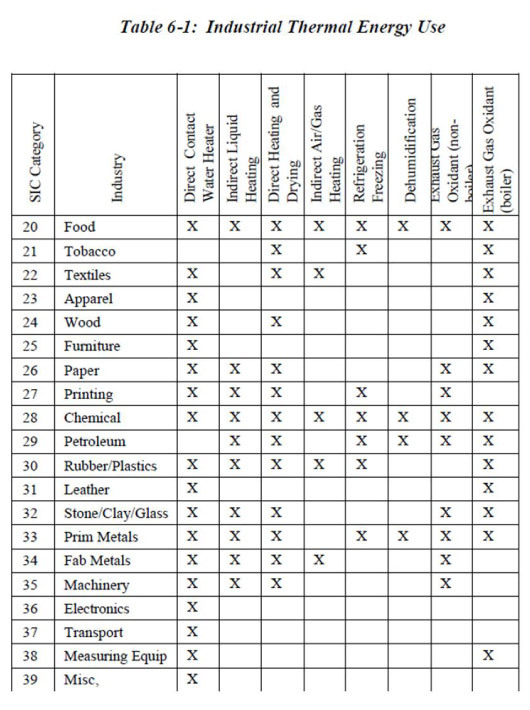 Table 6-1 presents a summary of thermal uses and their typical application by industrial sector.